Wearing pearl jewelry the correct way will help you look sophisticated and fashionable, and less like your grandmother. 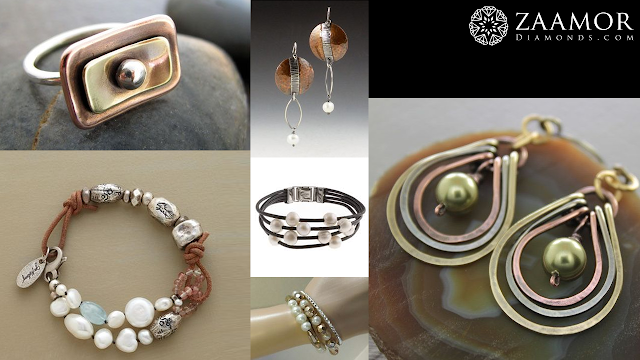 Pearls can be worn at any age, and still look contemporary, when using these simple rules. 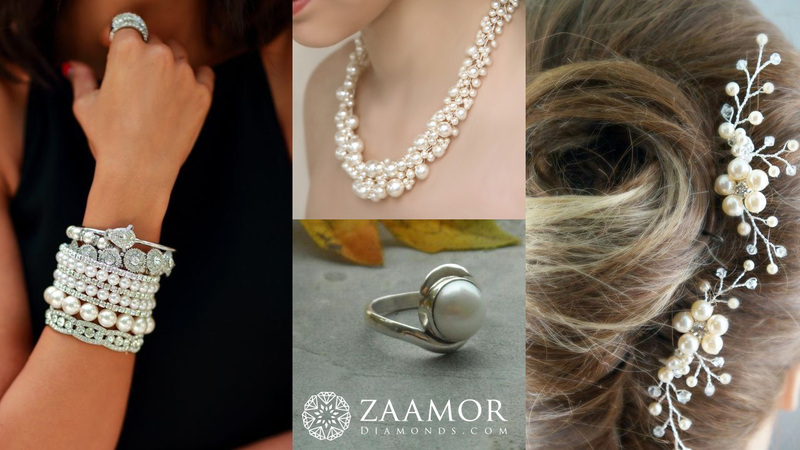 They are simple, yet elegant appearance makes pearls great accessories at the office, at night and even when running daily errands. 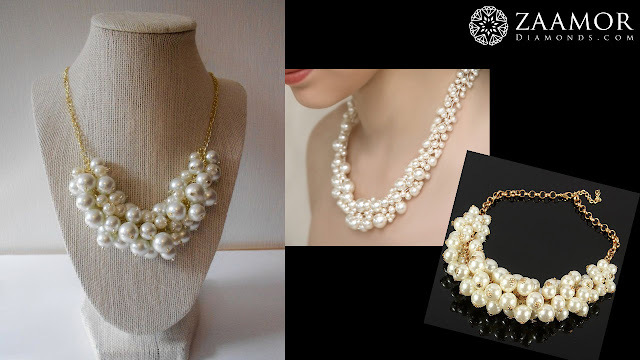 For trendy look create layers of pearls, wear multiple strands of pearls or even layer pearls with other necklaces. 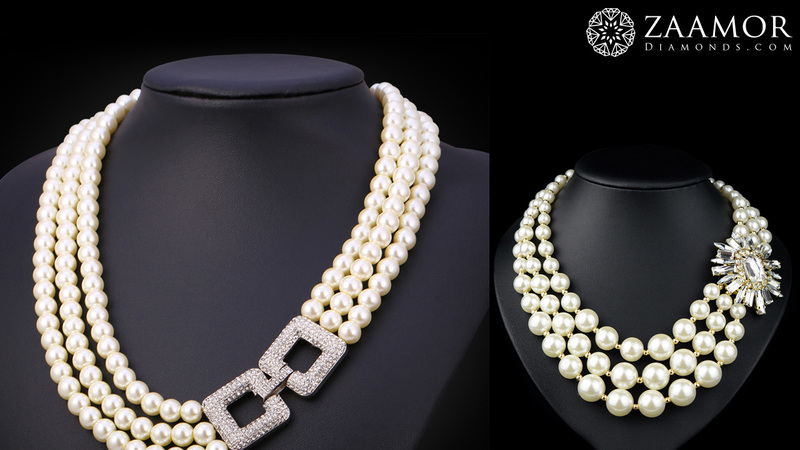 Find the perfect pearl statement necklace – let it be chunky and opulent with interesting details such as the girly bow. Statement necklaces are the absolute must-have for any season. If you like mixing different materials and stones, try wearing jewelry where pearls mix with beads, shells, turquoise stones or with the modern golden chain. Layers of pearls are not only reserved for necklaces, they also look so good on bracelets. 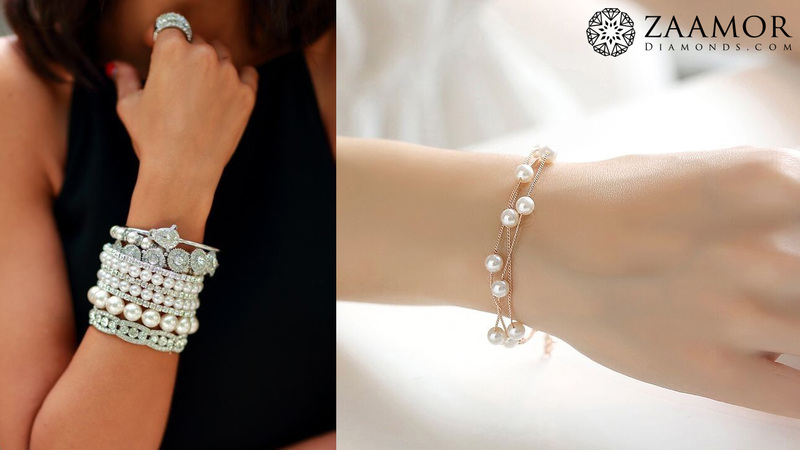 Try wearing multi-layered chain pearl bracelets. Think outside the box! 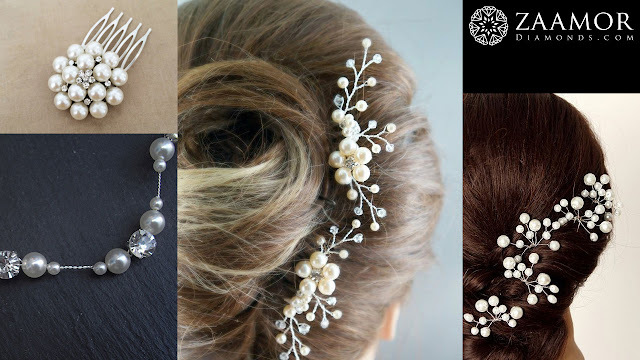 If you like wearing hair accessories choose pearled hair bands, crowns or hair clips. These kind of pearl accessories are perfect for brides to wear on their wedding day. How about mixing the pearls trend with colorful bracelets layering trend? Mix pearl bracelets with chunky chain bracelets, beaded bracelets or studded wrap bracelets. 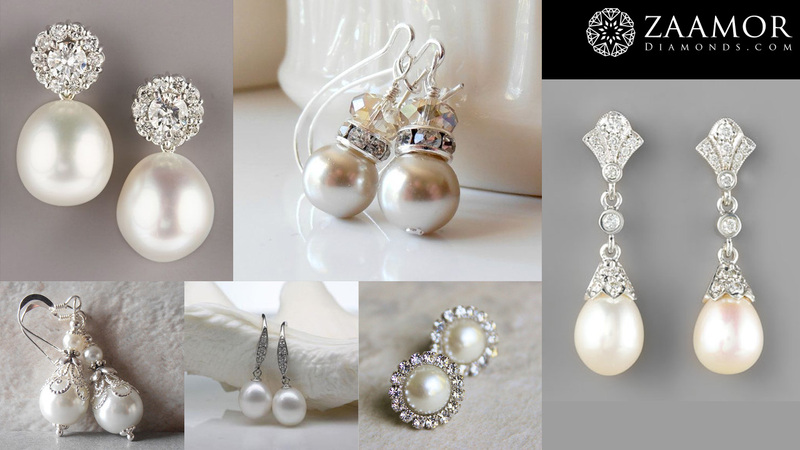 Every woman should own a gorgeous pair of pearl earrings. They look so good with chignon bun hairstyle and will instantly make you look sophisticated and elegant. Celebrities love this combination for the red carpet events. 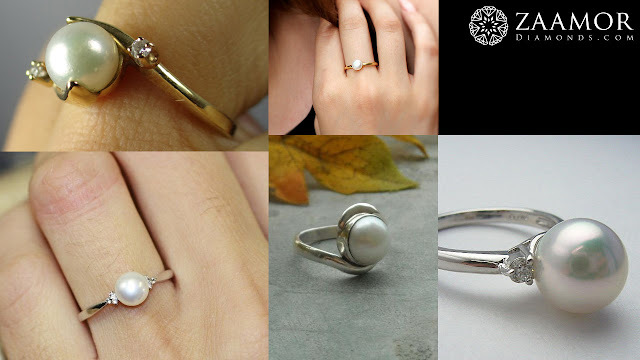 For our last proposal, let`s focus on gorgeous pearl rings. Most of you ladies have probably seen them on you grandmothers and still even years later, Pearl rings are the sign of timeless elegance. Buy one for yourself and you will not regret it.